Dorothy Chiotti’s images are noted for their qualities of colour and light, as well as their thoughtful depiction of day-to-day barn tasks. Ontario-based fine art photographer Dorothy Chiotti won a WINNIE Award for Best Equestrian Photo Journal from EQUUS Film Festival 2018 for her work, Unsung Heroines of the Horse Industry. 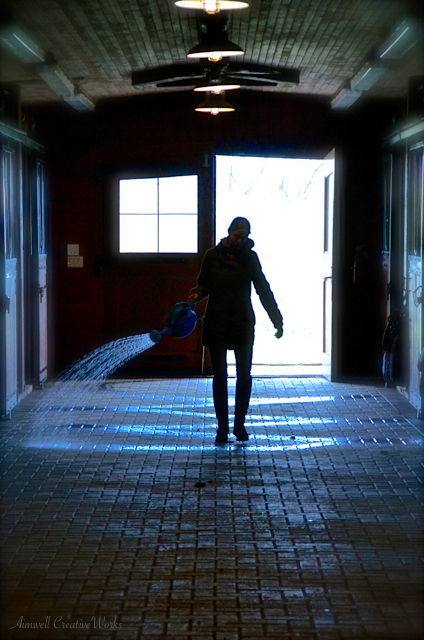 Inspired by her debut photography exhibit, Barn Mavens, Chiotti created the photo journal film to celebrate the skilled and empathic women who work behind the scenes to keep the equestrian world humming.